We are a Canadian charity registered with both the Provincial and Federal Governments. 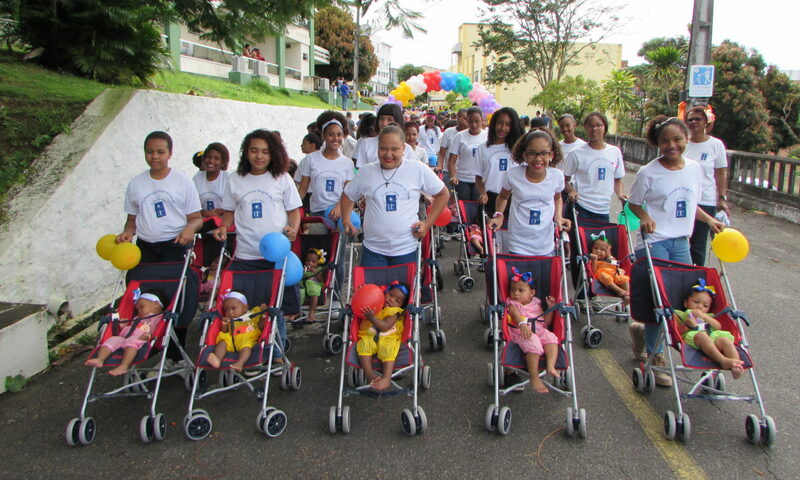 Our aim is to obtain donations which are used to help the poor and needy people in Brazil – specifically children. Our charity has been in operation since 1996 and during this time we have shipped containers of used clothing, school desks and hospital beds as well as sending money. Since 1999 all donations are being sent to Mansao do Caminho whose facilities are in one of the poorest areas of Salvador, Brazil. That organisation is registered with the Brazilian government. Our work in Canada is carried out on a voluntary basis, therefore none of the money donated is used for salaries or expenses. Expenses for stationery, postage, etc. is kept to a minimum. If you would care to make a donation to this very worthy cause, please see details on the page marked “Donations“. Please be advised that for all donations will receive an official receipt. 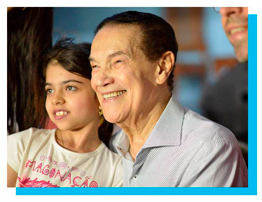 The persons in charge of this organisation are Divaldo Franco and Nilson de Souza Pereira, who have devoted their lives to helping the poor and destitute in Salvador, Brazil since 1952. and have given homes to orphaned and abandoned children. These children and other poor children are educated and looked after, later learning a trade or profession. 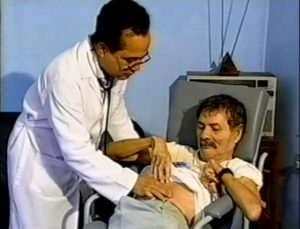 Divaldo Franco is a renowned author and has written many books. He also gives many lectures each year and it is from the proceeds of these books and lectures, together with donations, that enables the continuance of this good work. However, it is difficult to continue without sufficient resources, even although many of the staff are volunteers. There is a day care for both babies and infants. Here mothers can leave their children in safety during the day so that they can go to work. They leave them at 7:30 a.m and collect them in the evening at 5:00 p.m. Experts who have visited this facility consider it to be a model of excellence for both the facilities and the services offered. The day care is built on two levels. The ground floor is used for the direct care of the babies and infants and includes: cribs, recreation room, dining room, kitchen, bathroom, laundry room and an infirmary. There is also a solarium where children can not only play and be protected but also receive the benefit of the sunshine. The children can play happily with educational toys and there are sufficient toys for every child. The upper floor is reserved for the services of the administrative and technical support staff. The children receive meals five times daily and are also given a meal for the mothers to take home for consumption by the child when away from the day care. They also receive all the medicine and medical assistance they require. Periodically the mothers, children and administrative staff get together and the mothers receive special training in child care. Wherever possible, the mothers are expected to occasionally give four hours of their time to help in the day care as volunteers. All staff and volunteers work together in close harmony with the mothers because they know that the services given in the day care is building a better future for the children. As in all schools, there are various grades of education for children of all ages and they are taught by professional teachers. These schools operate on a daily basis from Mondays to Fridays. The children also receive meals during the time they are in school. For older children there are classes teaching various trades – e.g. shoe repairs, printing, bakery, crafts, typing, mechanics, nursing, and computer skills, etc. Within the infrastructure there are doctors and dentists. Also in place is a medical laboratory and library. There are volunteers that help the aged, handicapped and terminally ill people requiring palliative care. They are also given the basic necessities, plus medicine, blankets, clothing and shoes etc. Periodically the volunteers try to obtain donations of mattresses, cooking utensils etc. in order to help the poor people and sometimes money is given in order to assist them to pay rent, water and electricity.